The other day, a funeral director called on behalf of one of their previous cases. The director had been contacted by a family member wanting advice on doing some type of memorial on the first anniversary of their loved one's passing. The funeral director at first suggested putting something in the newspaper, the Washington Post. The family member contacted the newspaper, only to find out the cost of doing a memorial would run about $800. The family member was able to work the cost down to $360, but it was really bare bones and the family member was not happy about it. The director then called Mobits. 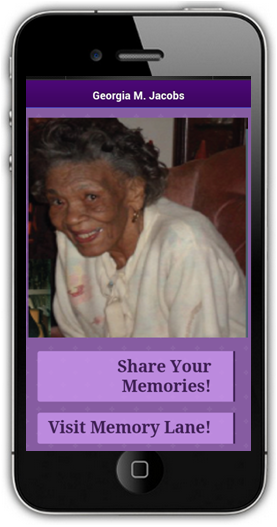 We were able to do a Mobits-Memorial for them at a cost of $99! The family loved it and they were able to share it globally (they had relatives serving in Afghanistan). It had pictures, a couple of videos and reflections were shared. In addition, the Mobits-Memorial gave the funeral home at lot of positive exposure, which the funeral director loved. The first anniversary of a death is often an event a family wants to recognize. It's also an opportunity for the funeral home to deepen its relationship in their families and communities.